CPC+ And MSSP – Can Both of These Programs Work Together? CPC+ And MSSP – The Odd Couple? In an update fact sheet released May 27, 2016, the Centers for Medicare and Medicaid Services (CMS) announced that as many as 1,500 primary care practices will be eligible to participate in both the Medicare Shared Savings Program (MSSP) and the new Comprehensive Primary Care Plus (CPC+) program. The announcement was a reversal of CMS’ previous position that precluded such dual eligibility. Explaining the reversal, CMS stated that this dual participation “may enhance the coordination of care for Medicare beneficiaries and help to achieve our aims of better care, smarter spending, and healthier people”. For practices in the MSSP program, or ones applying to join the program in 2017 that are also eligible for CPC+, the question becomes: “Should I apply to CPC+? Can I make both programs work together?”. Let’s tackle these two questions one by one. Should I Apply To CPC+? Upfront Payment – Under CPC+, all payments are made upfront. This is in stark contrast to the MSSP model, where shared savings (if any) are paid in arrears and about 9 months after the end of the performance year for which they are due. Guaranteed Payment – Under CPC+, a portion of your payment (the “Care Management Fee”, or CMF) is guaranteed and paid to you on a quarterly basis. The amount will vary based on the risk profile of your patients, but CMS estimates an average of $15 per patient per month in Track 1 and $28 in Track 2. This is very different from payments under MSSP, which are entirely dependent on your ACO’s ability to generate substantial savings to CMS. Low Minimum Size – You can be a solo primary care practitioner. As long as you see at least 150 Medicare beneficiaries, you are eligible to apply. Compare that with the 5,000 beneficiary minimum under MSSP. Moreover, CPC+ is especially designed for individual primary care practices. No need to align yourself with other practices, a hospital or any other entity. Multi-payer Participation – CPC+ is a multi-payer program with specific commercial payers already committed to extend the program to their members by 2019. 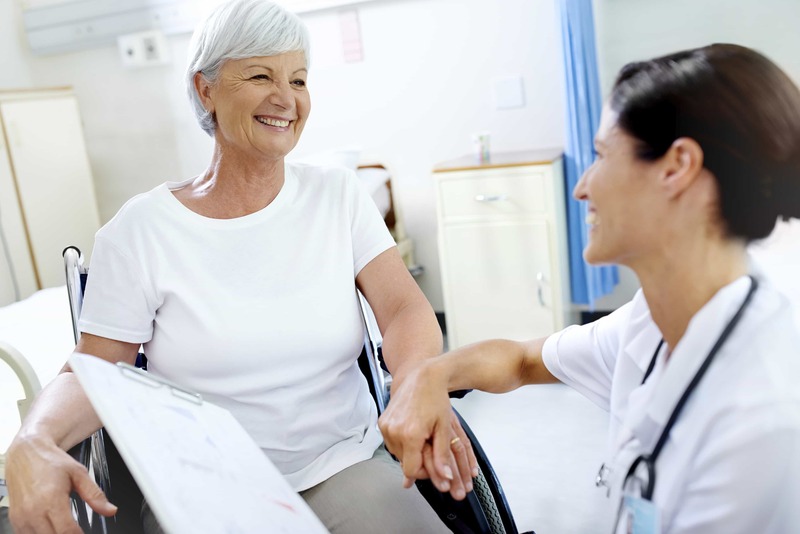 This will increase your payments and allow you to offer enhanced services to these commercial patient population in addition to your Medicare patients. These are some compelling benefits. CPC+ is designed to help practices invest in the staffing and technology they need to accomplish the larger goal of value-based healthcare. For those already taking steps in that direction, it just means that the return on the investment may finally be here. For others, this may be a way to start the process. Looking at similar programs, such as Meaningful Use (MU) and the Physician Quality Reporting System (PQRS) over the past few years, tells us that when CMS offers “carrots”, the “stick” is never too far away. CPC+ may be your last opportunity to get CMS to pay for transforming your practice to the patient-centered medical home model before you see your reimbursement shrink if you don’t. Conclusion: You should absolutely consider applying to CPC+! Can I Make MSSP & CPC+ Work Together? ACO Letter: You must provide a signed letter by your ACO leadership that commits to segregate funds paid as a result of participation in CPC+. In other words, you cannot apply to CPC+ without getting your ACO to approve. Higher ACO Expenses: The amounts you get paid under CPC+ will be counted “against” your ACO (i.e. they are included in the calculation of the ACO’s total expenditures). This may put you at odds with your ACO unless you can convince them that you can make up for the increased CPC+ payments by generating even higher savings to Medicare. Shared Savings instead of Performance-based Incentives:You will not be paid the CPC+ performance-based incentives. CMS considers your share of the shared savings generated under the MSSP to be your performance-based incentive for both programs. This of course may put you again at odds with your ACO. This time the onus is on them to convince you that you can indeed make as much as $30 or $48 per patient per year (the full performance incentive under CPC+ Track 1 and Track 2 respectively) in shared savings. Not an easy feat considering that only about 25% of MSSPs historically have made any shared savings at all. No Advanced APM Incentive for MSSP Track 1: If your ACO is in Track 1 of the MSSP, your participation in CPC+ will not exempt you from MIPS and you will not be eligible for the 5% Medicare Part B bonus otherwise available to all participants of CPC+ (payable starting in 2019). According to CMS, the eligibility for this bonus will be determined based on your MSSP Track and independent of your CPC+ participation. Since MSSP Track 1 is not eligible, you won’t be either. This may be the most painful strike against dual participants. Unless your ACO converts to Track 2 or 3 in subsequent years (it’s too late to do so for 2017), it will be hard to make up for this 5% bonus through either shared savings or MIPS incentives (that are generally limited to 4% for high performers). These are some serious challenges for dual participation. But while they may put you at odds with your ACO, they also give you some leverage to ensure your interests are aligned. After all, your participation in the MSSP is voluntary and ACOs still have time through 10/26/2016 to remove members from their Medicare roster. Conclusion: CPC+ participation can increase your power to make the ACO work to your advantage and a contingency plan in case it doesn’t. It is easy to calculate your estimated payments under CPC+. Note in particular the CMF component of these payments. As noted above, these are guaranteed funds that you can invest in exactly the kind of care coordination and management activities your ACO should be implementing anyway. Whether you do it in the practice or through shared ACO resources (or, as oftentimes is the case – a combination of both), you can only gain from having the additional funds to invest in these activities. One caveat: you need to get buy-in from your ACO leadership. Moreover, you must get their signed letter of support before the application deadline of September 15th. What if your ACO leadership does not agree or cannot produce a support letter fast enough? Well, then, you have a choice: compare your potential benefits (i.e. your share of potential shared savings, incentives through commercial contracts, any services/resources provided to you by the ACO, etc.) against your CPC+ estimated payout and choose the program that offers you more benefits. If your ACO is in MSSP Track 1, don’t forget to include the 5% Advanced APM bonus you will receive if you decide to opt out of the MSSP. Getting your ACO leadership to agree may be easier than you think… It’s your decision whether you’d like to move in or move out as the case may be!